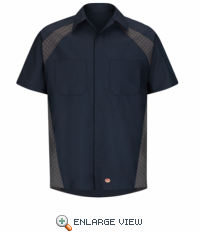 Soil Release, Moisture wicking, Color retention Concealed, no-scratch, gripper-front placket Convertible collar with sewn-in stays Scratchless chest pockets with pencil stall on left chest pocket Utility pocket on left sleeve for smaller objects Underarm gussets for better mobility Longer hem in back for extra coverage Relaxed fit Ripstop fabric is 75% stronger than other Poplin workwear fabrics. 4.5oz. poplin; 65% polyester/35% cotton Care: Industrial & Home Laundry. Diamond Plate Shop Shirt Bottom Line Benefits: Another Red Kap shirt built specifically with car guys in mind. Garage tested for durability and comfort, it�s loaded with auto-specific features designed to make your job easier. 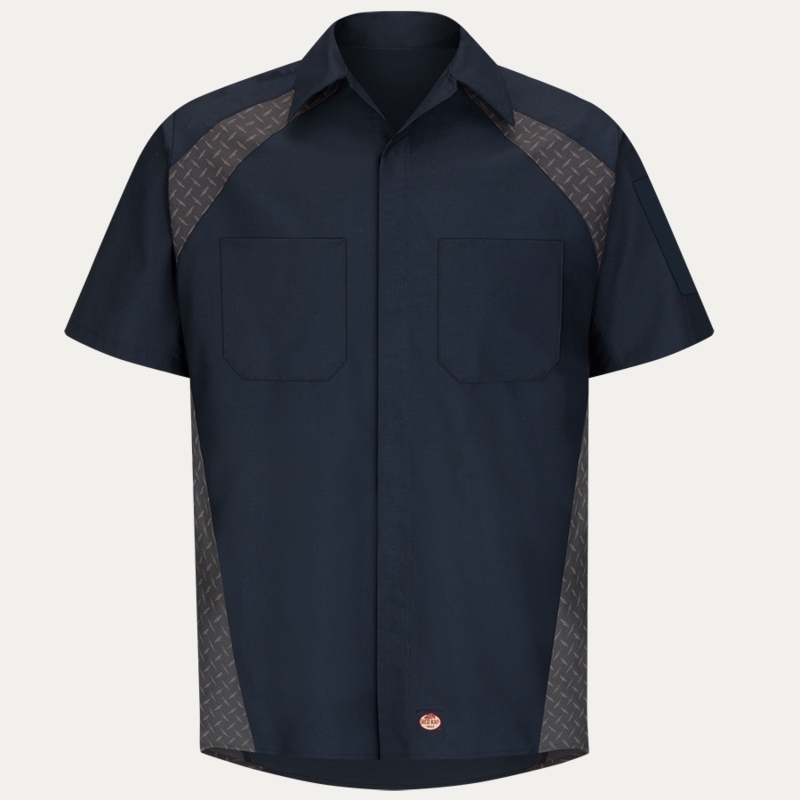 The diamond plate pattern gives a nod the car culture, while the ripstop fabric makes this work shirt at tough as, well, diamond plate.